11 July 2017: The Lokmat Water Summit: Towards Sustainable Water Management was organised by Lokmat in Mumbai. 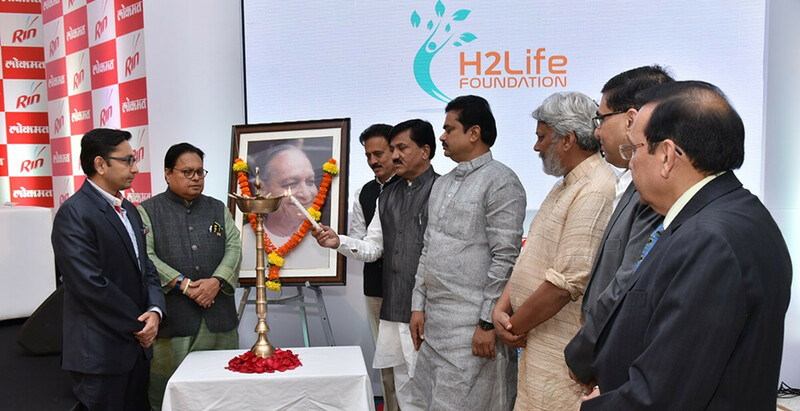 H2 Life Foundation was the official knowledge partner for this event. The summit was intended to create mass awareness for conserving valuable water resources. It witnessed participation from representatives of Maharashtra Government, corporates, social activists and key industry stakeholders who spoke on various issues related to water conservation and also lauded the recent initiatives in the field of water conservation. The Lokmat Water Summit: Towards Sustainable Water Management was co-powered by Rin (A leading detergent brand) and H2 Life Foundation as the official knowledge partner. The summit culminated in a water conservation movement called “Jalsamrudh Maharashtra” which is an initiative to drive water conservation across Maharashtra.